The UK government has announced an ambitious £200m ($262M) funding deal with the nuclear sector that could lead to a new generation small modular reactor (SMs) to be built at an existing nuclear site in north Wales. Of the total funding, £56m will go to help eight vendors of SMRs carry out technical studies. Several vendors are already exploring commercial options for LWR type SMRs in the UK including Rolls Royce, NuScale, and Westinghouse. However, this money is for non-LWR type reactor technologies. The Trawsfynydd nuclear site seen as a possible location for an advanced SMR that might emerge from this work. Rolls Royce, for one, expressed concern about the distinction. The firm told the Financial Times on June 27 that SMR R&D should be part of a “national endeavor” and that there should not be a technological preference embedded in the government plan. The deal, part of the country’s long-term industrial strategy, is worth over £200M. it comes on the heels of the government’s recent announcement that it has entered into negotiations with Hitachi over plans to build two 1350 MW Advanced-Boiling Water Reactor (ABWR) units at Wylfa Newydd on the island of Anglesey in north Wales. The latest media reports put the level of government support for that project at £18 billion, but there is still a way to go before the parties involved sign off on a deal. (NucNet) Alun Cairns, secretary of state for Wales, said Trawsfynydd is ready to be transformed with SMRs with little upgrade needed to the grid infrastructure. Trawsfynydd, which had two 195-MW gas-cooled Magnox reactors, is on a 15-hectare site, on an inland lake in Snowdonia National Park. Trawsfynydd was the first inland civil Magnox nuclear station. It started service in 1965 and generated 69 TWh of electricity over the 26 years until its closure in 1991. In 2016 a committee of MPs said Trawsfynydd should be designated as a site for a first-of-its kind SMR station. They said progress should to be made soon if the UK wants to be “first to market” for SMRs. The Financial Times reported (firewall) on June 26 that negotiations on the funding for the Sizewell C nuclear power station will be based on three principles. EDF is banking on a new financial model to bring investors to the table for the two massive nuclear reactors to be built at the Sizewell site. UK Business Secretary Greg Clark is reported by the FT to be developing a plan whereby private investors would receive a guaranteed return on their investment called “regulated asset base” or RAB. The RAB model has been used on other large UK infrastructure project including water treatment, roads, and electric transmission lines. According to Clark the RAB offers investors the comfort of a long-term rate-of-return with oversight by a government watchdog. Based on the value of the regulated asset, investors secure their returns from consumer payments. The FT also reported that Humphrey Cadoux-Hudson, managing director of EDF in the UK is pursuing private investors for the Sizewell project. He t0ld the newspaper that EDF and China General Nuclear (CGN) will take minority equity stakes in the project and seek “a strong UK shareholder base” for the rest of the cost which is expected to be in the range of $20-22 billion using current overnight pricing of $6500/Kw. The Sizewell project will be under significant pressure from investors and the government watchdog to control costs. The FT reported that Alistar Ray of Dalmore Capital, which has organized a consortium of private investors to fund other infrastructure projects under the RAB model, said his group is holding talks with EDF about investing in Sizewell. Ray pointed out that Sizewell is a “greenfield” project” and that interest and the rate of return will reflect the risk associated with that fact. Cadoux-Hudson said that he is betting the ranch on the fact that since Sizewell will be a copy of the Hinkley reactors that costs can be controlled based on lessons learned there and that the experienced management and workforce from that project could become available for Sizewell. The government deal for £560M contains requirements for there to be a 30% reduction in the cost of the new reactors by 2030. Also, it calls for a 20% reduction in decommissioning costs of old plants by that date as well. As a sweetener which could help Sizewell, the government plan calls for £50M to support advanced manufacturing methods for new reactors, enhancements to supply chains, and investments in innovative construction methods. The nuclear industry has agreed to contribute an additional £12M for these programs. On the manufacturing side, Rolls Royce has strongly advocated for early implementation of factory methods to produce LWR type SMRs to get costs down to more competitive levels, e.g, in the range of $4,000/Kw or lower. With regard to the risk of a nuclear accident, the FT reported that Vincent Zabielski of the law firm of Pillsbury Winthrop Shaw Pittman said that the financing agreement would have to be set up so that banks, pension funds, and private investors are held harmless for liability in the event of an accident once the plant is in operation by the utility. (NucNet)(WNN) GE and French state-controlled utility EDF have agreed to form a partnership to build six reactors for a nuclear power project in western India. The partnership is the latest development in a decade old effort to get the project off the ground. Once fully commissioned, the Jaitapur project will be the largest nuclear power station in the world, with an installed capacity of around 9,900 MW. However, it could take as long as two decades to build it out. The project envisions building two EPRs at a time which will take six-to-eight years for each pair. The six EPR units will be built at Jaitapur, south of Mumbai in the state of Maharashtra, GE and EDF said in a joint statement released on June 26, 2018. EDF is to supply EPR technology for the plant. EDF will be responsible for engineering integration of the entire project, while GE Power will design the critical part of the plant and supply its main components, the companies said. GE will also provide operational support services and a training program to meet the needs of the state-run Nuclear Power Corporation of India, the facility’s owner and operator. EDF and GE Power said they will now define the project’s technical options, make industrial arrangements between both companies, and complete the design-engineering and procurement schedule. World Nuclear News reported that EDF also announced two cooperation agreements with French and Indian industrial firms. EDF will hold 51% of the joint venture and will be responsible for engineering integration. The basis for collaboration among the firms is one of the key agreements. The second agreement, signed with Larsen & Toubro, AFCEN – the French nuclear codes and standards association – and Bureau Veritas, covers the creation of a training center to train local companies on the technical standards applicable to the manufacture of equipment for the Jaitapur project. Once trained the firms can become suppliers to the project. India’s reluctance to proceed with the Jaitapur project has been based on concerns about costs. Areva’s experiences with cost overruns and scheudle delays in building EPRs in Finland and France have raised caution flags for NPCIL. French state owned nuclear group Orano and the China National Nuclear Corp (CNNC) are inching toward startup of work on a spent fuel processing and recycling plant in China. The project was first described in an MOU between China and Areva more than a decade ago to make MOX fuel from spent commercial nuclear fuel assemblies. Reuters reported that an Orano spokeswoman said the preliminary project work would cost the French company about 20 million euros ($23.4 million) and cover in particular project management and quality control paperwork. It does not involve breaking ground for the plant. Talks about the project are ongoing with the price being one of the remaining issues to be agreed. Negotiations about the 800 tonne/year capacity plant have underway for a decade. The two parties have not been able to agree on a price for transferring the technology. Following a visit last January to China by French President Emmanuel Macron, Finance Minister Bruno Le Maire said the deal would be worth 10 billion euros ($12 billion) and that France had been given assurances a contract would be signed this spring. The deadline passed without a contract. The original price for the plant was set at $15 billion. 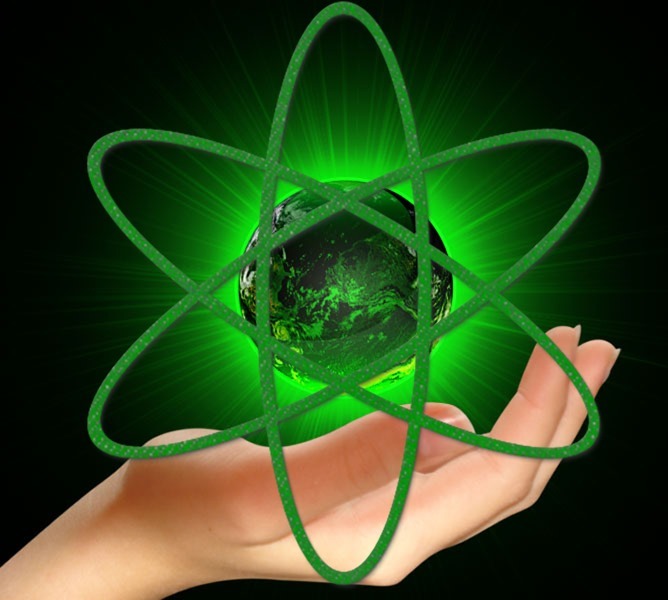 China has recently inked a deal with Russia for MOX fuel for one of its advanced fast reactor designs. In the decision to make or buy MOX fuel, for now China has chosen the “buy” option. In the U.S. an annual cycle of budget battles over the funding for a MOX plant in South Carolina is taking place amid massive cost overruns and delays. The plant if completed will transform 34 tonnes of surplus weapons grade plutonium into PWR type MOX fuel assemblies. (NucNet) Bulgaria’s cabinet has officially restarted Belene nuclear reactor project. Earlier this month Bulgaria’s parliament asked the Council of Ministers to set aside a 2012 decision putting an end to the construction of Belene. Parliament gave a mandate to Bulgaria’s energy ministry to find ways of restarting the Belene project in cooperation with a strategic investor, but without any state guarantees. This charter will make it a steep challenge to find private investors which are not from state owned firms like Rosatom. Russia regards Bulgaria as a captive market and the mandate to set aside state guarantees may be a signal to Rosatom the project is theirs if they want it. US-based Westinghouse has previously refused to bid on the project. The ministry will have until the end of October 2018 to start an investor selection procedure and present its proposals on how to restructure the project, reports said. A two-unit nuclear station at Belene was originally planned by Bulgaria’s communist government in the 1980s but was stopped in the early 1990s because of environmental and financial concerns. The project was revived in 2008, but formally abandoned in 2012 due to uncertainties about its financial viability. Bulgaria began looking for ways to revive Belene after it paid €600m in December 2016 in compensation to Russia’s nuclear equipment manufacturer Atomstroyexport for components which had been ordered before the project was cancelled. The question now if if Russia will return to the bargaining table and if so under what terms.